MS121RSBDF941D2 comes with 90 days warranty. Please click here for Mechanical dimensionMS121RSBDF941D2 is a direct replacement for the LCD screens that listed below. Simply swap out your defective LCD screen with MS121RSBDF941D2, you now have a sunlight readable Monitor. MS121RSBDF941D2 is designed to be used on outdoor environment. With our proprietary LED upgrade kit installed, It is so bright that the contents on display visible under strong sunlight. It is easy to install! No technical skills require! Anyone can do it! You can purchase the screen on our website here and the controller kit here. This brand new MS190RUBFIX30D1 is a direct replacement for the LCD screens that listed below. Simply swap out your defective LCD screen with MS190RUBFIX30D1, you now have a sunlight readable Monitor. MS190RUBFIX30D1 is designed to be used on outdoor environment. With our proprietary LED upgrade kit installed, It is so bright that the contents on display visible under strong sunlight. It is easy to install! No technical skills require! Anyone can do it! MS104RSDF931D1-V1 is a direct replacement for NEC 10.4 inch LCD screens that are originally equipped with its manufactures LED strip or CCFL lamps mounted on one side. With our proprietary LED upgrade kit installed(1500 nit or higher), It is so bright that the contents on display visible under strong sunlight.To fire up LED backlight strip, all you need to do it apply +12V (+12V to + 24V DC) to Red wires and Negative (Ground) to Black wires on MS610UB. That’s it. It is easy to install! No technical skills require! Anyone can do it! Are you tired of constantly replacing CCFL backlight lamp again, again and again? When the situation has no time for downtime. Optrex AA121SL03, one of the most popular LCD screen in an industrial control application. This 12.1 inch Optrex AA121SL03 is originally equipped with dual CCFL backlight lamps. To extend it life and improving its performance, upgrading to UB Series LED backlight is an only option. You can purchase the screen on our website here, the controller kit here, and LED kit here. Are you tired of constantly replacing CCFL backlight lamp again, again and again? When the situation has no time for downtime. Sharp LQ121S1DG61, one of the most popular LCD screen in an industrial control application. This 12.1 inch Sharp LQ121S1DG61 is originally equipped with dual CCFL backlight lamps. To extend it life and improving its performance, ungraded to UB Series LED backlight is an only option. You can purchase the LED kit on our website here, the sceen here, the Sunlight Readable version here, and the inverter board here. AUO G121XN01-V0, one of the most popular LCD screen in an industrial control and medical applications. 12.1inch G121XN01-V0 is originally equipped with its manufacturer’s LED backlight strip and driver, which has typically 500 nits. By upgrading to our SB series LED kit, it can reach 1300 nits or higher. It is easy to install, no technical skill required, anyone can do it! 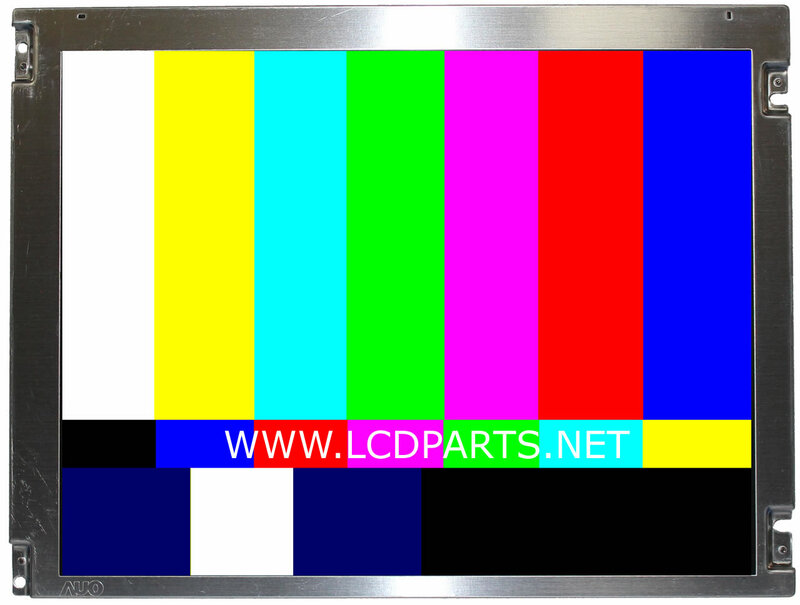 To purchase, please check out our website www.store.lcdparts.net. You can find the G121XN01-V0 screen here and the LED kit here. Are you tired of constantly replacing CCFL backlight lamp again, again and again? When the situation has no time for downtime. Sharp LQ121S1LG61, one of the most popular LCD screen in an industrial control application. This 12.1 inch Sharp LQ121S1LG61 is originally equipped with dual CCFL backlight lamps. To extend it life and improving its performance, ungraded to UB Series LED backlight is an only option. You can purchase the screen through our website here,the LCD controller kit here, and LED kit here. Are you tired of constantly replacing CCFL backlight lamp again, again and again? When the situation has no time for downtime. Sharp LQ121S1LG61, one of the most popular LCD screen in an industrial control application. This 12.1 inch Sharp LQ121S1LG61 is originally equipped with dual CCFL backlight lamps and has typically 450 nits (based on LQ121S1LG61’s datasheet). By upgrading to our LSR series LED kit, it could reach 2000 nits. It is easy to install, no technical skill require, anyone can do it! Tianma TM121SDS01, one of the most popular LCD screen in an industrial control and medical applications. This 12.1 inch Tianma TM121SDS01 is originally equipped with its manufacturer’s LED backlight strip and driver, which has typically 450 nits (based on its datasheet). By upgrading to our SB series LED kit, it can reach 1300 nits or higher. A wire adapter is included. It is easy to install, no technical skill require, anyone can do it! You can purhase the TM121SDS01 here, the LCD controller kit here, and the LED kit here.